Home / #AmericanRoadRadio / #Human_Rights / #HumanRights / #TrueNews / Africa / Ghana / Human Rights / True News / #HumanRights : Every year an unknown number of children disabled are murdered in northern Ghana as magic sacrifice ! #HumanRights : Every year an unknown number of children disabled are murdered in northern Ghana as magic sacrifice ! 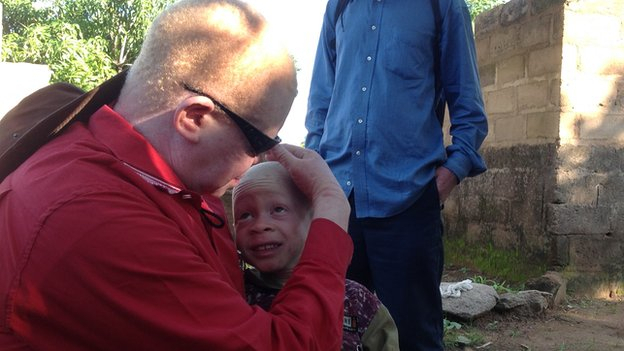 How albinos are killed for rituals in Ghana ? In the magnificent assembly hall of the St Peter’s Senior High School Assembly at Ashaley Botwe in Accra, 33-year-old Wahab shares shocking stories of pain and pangs of death. 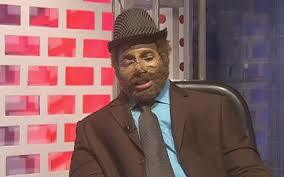 Wahab’s face is a mass of black spots – very conspicuous against his yellow skin. His hair, looking all bleached, is the natural grey of an albino. Standing 6 feet tall, Wahab has survived three attempts on his life. On each of these occasions, people wanted to use his body parts for ritual purposes. His trials highlight the dangers persons with albinism face. Wahab, now a graduate teacher was the first albino to be born in Sapala, a village in the Northern Region. He faced the worst form of racism in his own country, town, home – His own family hated him with passion. As the first Albino in Sapala, people in his village saw him as evil and wanted him dead. “When I was born, people thought I was an evil child so they were just finding all ways and means to make sure they kill me when I was young,” he said. His father also refused to send him to school, because he was told albinos do not live long; and that Wahab would be dead at the time his father should be benefitting from educating him. But Wahab had a burning desire to be educated which could not be quenched by threats from his father or misconceptions of his detractors. “I was not able to see from afar, and whenever I moved closer to the board, they will be insulting me...Some call me monkey, other also say I’m evil, some say I’m a small god, some even get to the extent of referring as to a pig,” Wahab said, shaking his head. Wahab strived to complete Junior High School in spite of all attempts to prevent him from schooling. 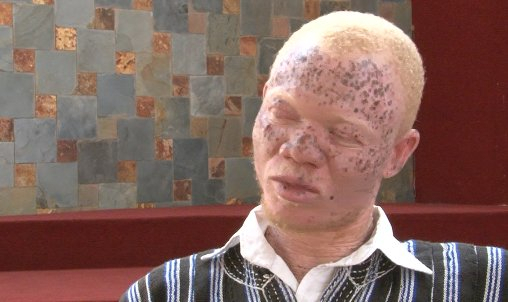 He gained admission to Bole Senior High School where his major troubles as an albino begun. He quit Bole Senior High School, in first year, when he was prompted his life was in danger. Following the threat on his life, Wahab fled Bole and got admission at St. Marys Senior High School at Takoradi; as a means of running away from to a safe haven...but that was short-lived. Wahab did not have money to pay his school fees, so he travelled to Abaase in the Brong-Ahafo Region to take up a role on someone’s farm as a labourer. But little did he know, he was placing himself in another death trap. More attempts on Wahab’s life followed after this. As a teenager having to fend for and support himself through school, he had to fall back on working as a labourer, which nearly cost him, his life again.